NTA today released UGC Admit Card 2018. You can download the Admit Card from the NTA website. 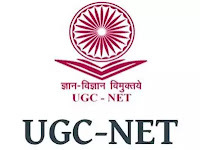 UGC Net Examination will be held from 18 December 2018, which will run till 22nd December 2018. The exam will be held in two shift, the first shift exam will be from 9.30 am to 1 pm, whereas the second shift exam will be from 2.30 pm to 6.00 pm.